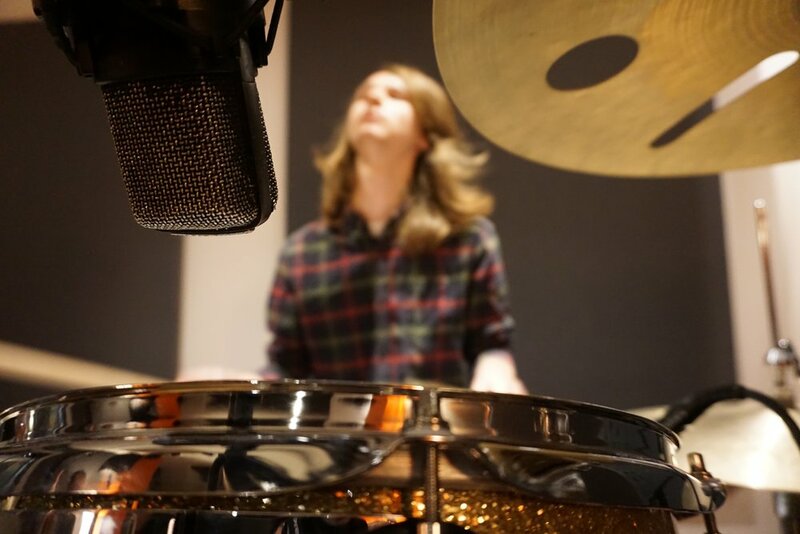 Our Drum Kit and Percussion lessons are held from our 2 sound-proofed drum kit rooms which feature both student and tutor drum kits, PA system and latin percussion. PMA use DW® and Tama® drum kits with Zildjian® Meinl® and Sabian® cymbals. Our approach to drum kit lessons is simple - students are encouraged to focus on technical exercises and discover how these can be applied across the kit as grooves and fills. Solid fundamentals allow a student to develop ideas and patterns with ease. Students can explore different musical styles and begin to understand the various techniques required. Graded courses are available. Our tuition team ensure lessons are customised to suit the individual - if a student wants to rock out to their favourite tracks or study swing band charts, our team are ready to assist them. PMA recommends that 5/6 years is a suitable age to start learning the drum kit. Our tuition rooms feature kits that can be adjusted to fit smaller drummers! Tempted to try the drums?… Book your FREE taster today… 01394 383700.